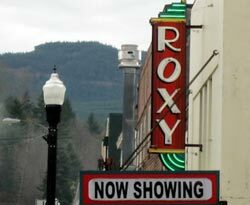 The Box Office is located next to the main doors of the Roxy Theater. Ticket prices vary with performances. 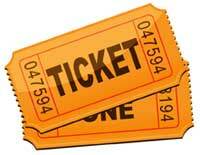 Tickets can also be purchased at the BCJ Gallery located next door to the Roxy Theater. Treat your friends and family to a gift you know they’ll like! A gift certificate to Roxy events and activities is perfect for birthdays, thank yous, graduation, wedding or holiday gifts. Click here to purchase a gift certificate. The box office normally opens one hour before curtain on performance days. Advance tickets may be purchased online or at the BCJ Gallery adjacent to the Roxy Theater Wednesday through Saturday, from 11:00 a.m. to 4:00 p.m. The box office/gallery is closed on Mondays and Tuesdays. All ticket sales are final. No refunds, exchanges only. Copyright © 2008-2019 Fire Mountain Arts Council, Morton, Washington. All rights reserved. This website is made possible by support from Lewis County Lodging Tax Funds, MK Marketing, Yakindo Web Designs, and Tiger Mountain Technologies. Enjoy Live Theater at the Roxy!